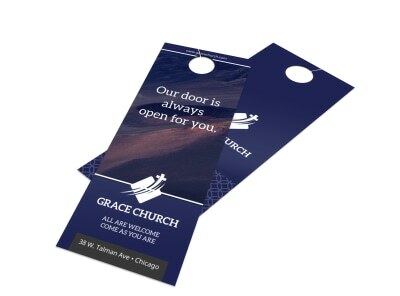 Customize our Church Welcome Door Hanger Template and more! 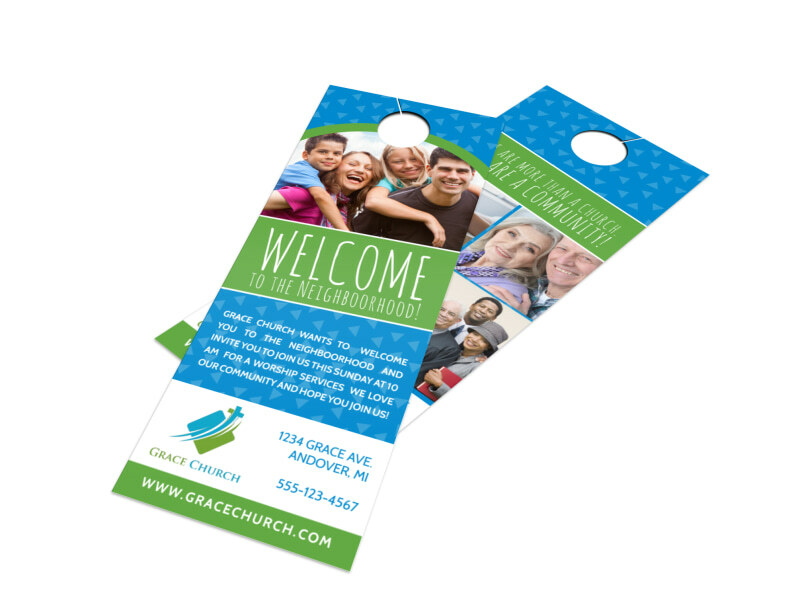 Canvas the community for new church members, and leave behind your ministry’s contact info on a custom door hanger. 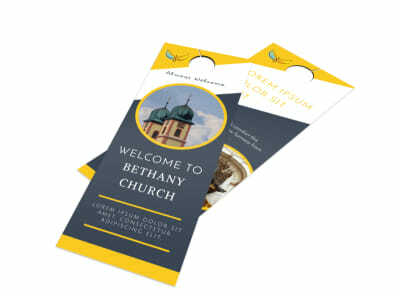 Canvas the neighborhood to extend a warm welcome to come fellowship with you, join your youth group, or volunteer for one of your programs. The design process is fast, simple, and fun, and you can have your door hanger ready in minutes.